Great News! 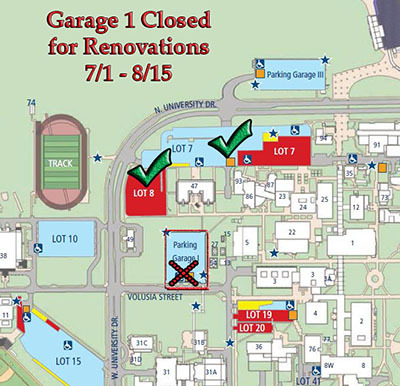 Garage 2 is schedule to reopen on July 1st! Garage 1 is next up for renovations. 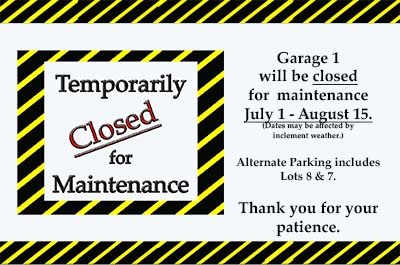 We will be temporarily closing Garage 1 beginning July 1, 2015. Weather permitting it will reopen August 15th. Please use Lots 8 & 7 for alternative parking. We apologize in advance for any inconvenience this may cause and thank you for your patience as we continue to improve our University. 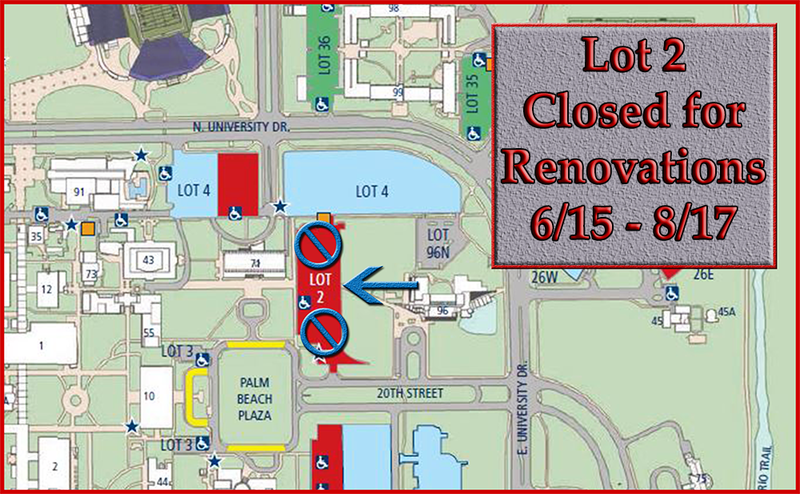 FYI: On June 15, 2015 lot 2 will be closing for the summer due to renovation. Beginning June 15, 2015, Parking Lot 2, located near the Palm Beach Plaza, will be closed for reconstruction to improve vehicular circulation, realign parking spaces, and install new lights, sidewalks and drainage system. Construction is expected to be completed prior August 17, 2015. Alternative parking includes lot 4, 96 North, and 1.